Did you know small businesses are owed an average of $38,000 each month in outstanding payments? For most small businesses, this shortfall in cash flow can cause more than headaches for business; poor cash flow causes 40% of them to close according to the Australian Securities and Investments Commission. 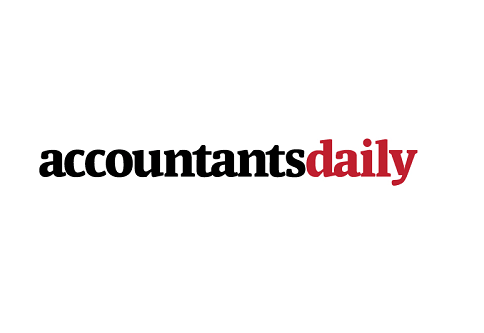 So how can accountants provide more value to our clients in terms of cash flow? These tips can keep small businesses in the green – and they’ll thank you for it! In the modern economy, a business cannot thrive without automation. We automate so much of our business; we may not even realise it. But cloud accounting platforms that streamline quoting and invoicing – as well as following up delinquent invoices – is an investment that recoups itself many times over. Once data is accumulated from invoices and bank feeds, it can also estimate or forecast cash flow to identify trouble before one gets too deep. Whether you sell goods or services, “cash-only” businesses are doing themselves a disservice. According to research from the ATO, most consumers that see a “cash only” sign in a shop window treat the business as inconvenient or dishonest. The ATO also said 40% of cash only businesses have never thought of taking electronic payments – which could be affecting their cash flow. No matter what business you are in, you should be offering as many payment options as possible; credit cards, debit cards, EFTPOS, contactless “tap”, PayPal, PayID – even Bitcoin if you feel adventurous. Eliminate the hurdles to cash flow, and watch it roll in. If you run a retail or goods business, slow cash flow might be a signal to liquidate excess inventory. Identify slow moving goods and offer discounts to bring more cash in quickly. It’s better to convert inventory into cash than leaving it sitting around on shelves. Many businesses might have taken out insurance, subscriptions, and other regular expenditures they can often find cheaper or leave off the balance sheet entirely. Do an audit of your automatic payments to identify where you can cut back or switch to other, more competitive providers. If sales or inquiries are slow, it might be time to dust off the old boot leather and reconnect with your customers and clients. Social media marketing is a free (barring time) way to show off your wares to new customers, with pay-per-click advertising providing a high return on investment when targeted correctly. If you are a service business, attending networking meetings or having sit-down chats with clients old and new can often reveal new opportunities for growth. For more information about Savvy or available cash flow options please follow: www.savvy.com.au or call 1300 974 066.